Using custom formatting and advanced settings it is possible to produce highly customized print templates. In this exercise we'll look at a process to create a print template that uses specific formattting to produce customized output. Access the Infowise Print Settings screen. Name your template "A3 PDF". Outside of your browser, in a text editor / HTML editor create a new .htm file "A3-PDF.htm". 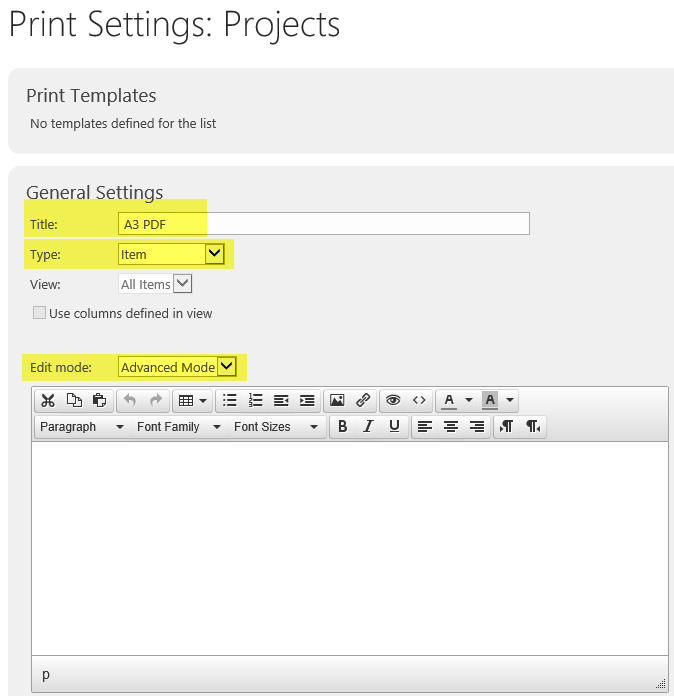 Begin by entering a list of the fields to be used in your print template. 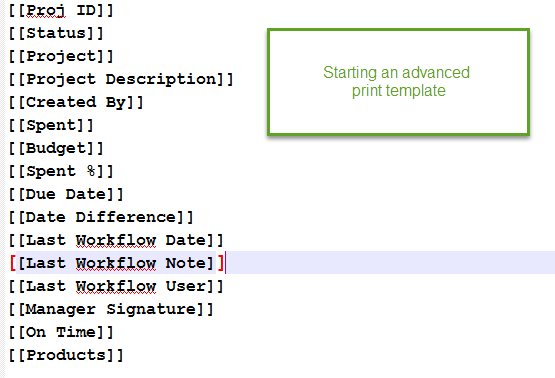 All fields in the print template use a pattern like this [[Field Name]]. We want to create a custom landscape orientation document with a left and right column. We also need a title bar which will span the top of the page. Working from the outside in, you can further use nested tables to structure the sections of the page. Inline styling allows for fine tuning of the output all of which will appear on the final print out. 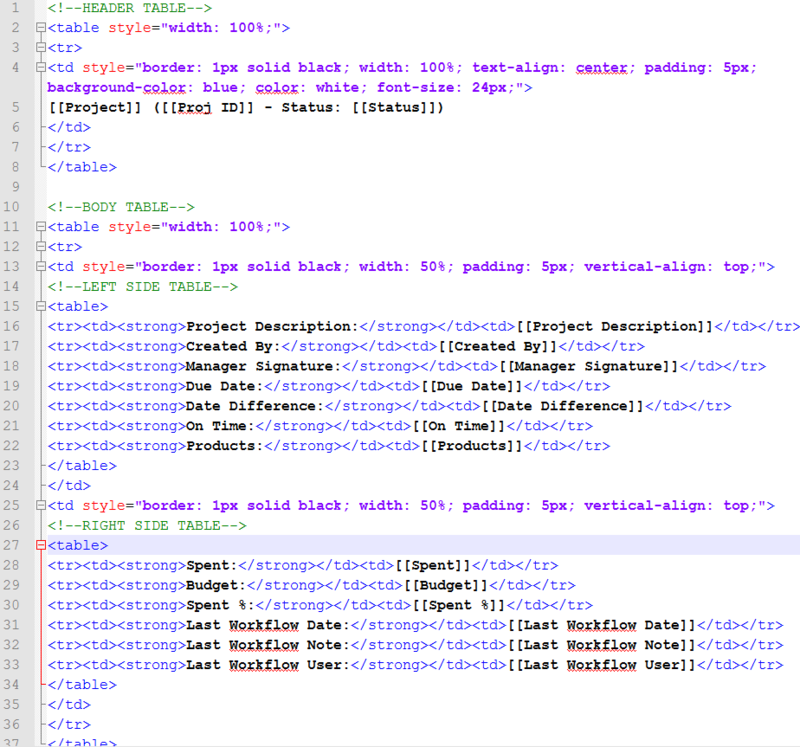 Once your HTML and related formatting are ready, you can copy and paste the code to the template window. Be sure to pick the correct paper size and landscape orientation. Test your output, by selecting the PDF print option. Note that you can fine tune print settings from your local Adobe PDF Reader client. Advanced print formatting is a structured and deliberate process. Because you can use standard HTML and CSS formatting, your are virtually unlimited in the appearance of your output. 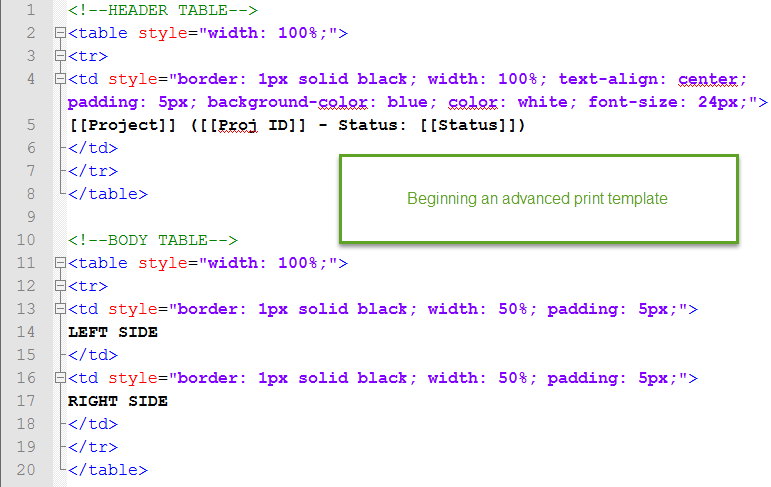 Work carefully offline producing your print template then simply paste the custom formatted code to the template code window. Experiment by tweaking settings to observe the differences in output.